As one of the initiatives to promote the scope of higher education research, policy dialogue and communication in Africa, we have just launched an e-bulletin called the Chronicle of African Higher Education. 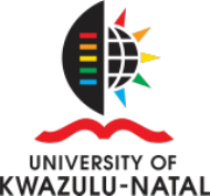 The Chronicle of African Higher Education, an initiative of the International Network for Higher Education in Africa (INHEA), is being hosted at the Higher Education Training and Development (HETD), at the University of Kwazulu-Natal, South Africa. The Chronicle articles, solicited on invitation, are commissioned to key higher education players on the continent and beyond. The articles will feature topical issues and are expected to appear every month. The articles, c. 1,200 words long, will be concise, analytical and critical.